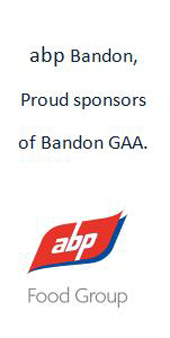 Castletownkinneigh was the venue on Saturday last for this for this enthralling Minor B Football Championship semi-final which went to extra time whereupon Western Gaels emerged victorious on a score of Bandon 2-12 to 1-20 Western Gaels. This was a ding-dong battle with Bandon playing second fiddle for much of the first half which ended with us behind 1-4 to 0-8 although we should have at lease scored another goal in that half. We stormed three points ahead in the third quarter and in truth should have put the game to bed in that period. Three clear goal scoring opportunities resulted in only one conversion and the rattling of the bar with another. These let-offs allowed Western Gaels back into the game and they had in 2016 Cork Minor Chris Og Jones the outstanding player on the pitch. The score on 60 minutes was 2-10 to 1-13 and Western Gaels were just too strong in extra time as injuries robbed Bandon of vital players. This was a great game of football, real and to end stuff and every pleyer worked their socks off for the 80 minutes plus. Best on this disappointing day were Ciaran McCarthy, Paul Lang, Eoin O'Sullivan, Aidan O'Mahony, Mark O'Regan, Eoin Nolan, Ben Donegan and Conor Calnan. Team; Ciaran McCarthy, Eoin Hurley, Kieran Walsh, Aran Byrnes, Nelson McCarthy, Paul Lang, Jack Kelly, Eoin O'Sullivan, David Behan, Mark O'Regan 0-3, Aidan O'Mahony 0-2, Conor Calnan 0-2, Gavin O'Connell 0-3, Ben Donegan 1-1, Eoin Nolan 1-1. Well done to the team mentors Neilus McCarthy, James Milner, Ciaran O'Driscoll and Jimmy Gabriel. On last Wednesday evening 14th September the under 11 Hurlers recorded a narrow victory over 7-4 to 6-5 Newcestown in the West Cork Cup Final. Not so fortunate were the under 12 hurlers on Sunday morning when they lost out 2-6 to 2-1 to Ahan Gaels in their West Cork Cup Final at Enniskeane. Please support the Intermediate Hurlers on Saturday next at 06:15 p.m. in Pairc Ui Rinn where they face a fancied Mallow selection in the county PIHC semi-final. A league victory of 1-23 to 2-17 over Kanturk last Saturday was their last outing before this big fixture.